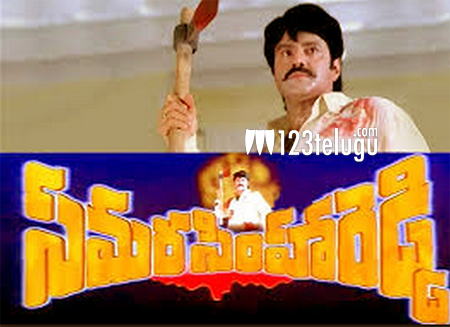 Samara Simha Reddy was a cult film which set a trend for faction movies that continued till a very long time. This landmark film has finished 16 years since the day of its release today. Nandamuri Bala Krishna who played the title role had received wide spread acclaim for his portayal of two different shades, one of a timid guy and another of a faction leader. Directed by B.Gopal, Samara Simha Reddy made a killing at the box office becoming the highest grossing film ever in the career of Balakrishna at that time. The movie had Simran playing the female lead.